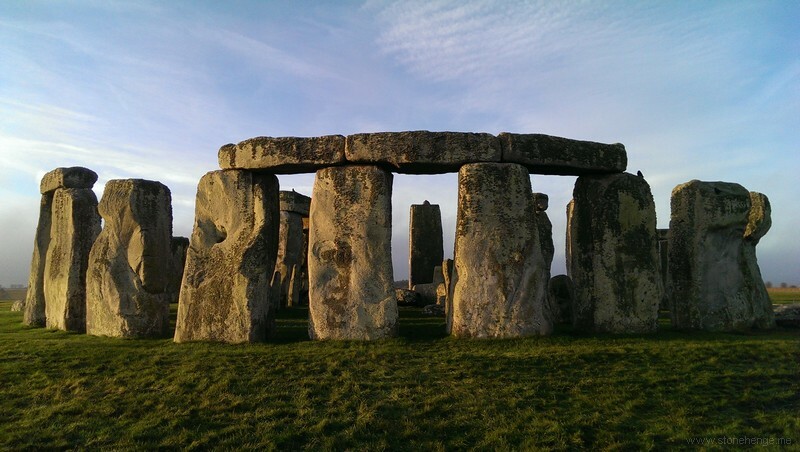 The origins of Stonehenge: on the track of the bluestones by Michael Parker Pearson et al. Stonehenge is unique among prehistoric stone circles. Its stones are shaped and they carry lintels but the most extraordinary feature is that its stones have been brought to Salisbury Plain from elsewhere. Stonehenge’s sarsen stones (a type of silcrete) are thought to have been brought from the Marlborough Downs 20 miles (30 km) to the north (Parker Pearson 2016). More extraordinarily, the smaller ‘bluestones’ (mostly under 4m long and under 4 tons each) come from the Preseli region of west Wales, 140 miles (225 km) away. ‘Bluestone’ is actually a term that covers Stonehenge stones of varying geology: spotted dolerite, ordinary dolerite, rhyolite, volcanics and sandstone. Stonehenge was built in five stages, the earliest dating to 3000–2755 BC and the second stage (when the sarsen circle and trilithons – two upright stones with a third across the top – were erected) to 2620–2480 BC (Darvill et al. 2012). Twentieth-century archaeologists used to think that the bluestones did not arrive at Stonehenge until long after this first stage (Atkinson 1979; Cleal, Walker and Montague 1995) but reassessment of early 20th-century excavations, coupled with re-excavation inside Stonehenge, has raised the probability that the bluestones were installed in its first stage (Parker Pearson et al. 2009; Willis et al. 2016). We now think that bluestones were set into pits known as the Aubrey Holes to form a circle of standing stones at this early date. A second, smaller bluestone circle (‘Bluestonehenge’) was erected nearby, beside the River Avon at West Amesbury (Allen et al. 2016). Geologists have recently identified several of the sources of bluestones through geochemistry and petrography (Ixer and Turner 2006; Ixer et al. 2017). The major source of the spotted dolerite is a small outcrop called Carn Goedog on the north flank of the Preseli hills (Bevins, Ixer and Pearce 2013). Just west of Carn Goedog is Cerrigmarchogion, now identified as the likely source of Stonehenge’s unspotted dolerite. Two miles (3 km) to the north of Carn Goedog is Craig Rhos-y-felin, an outcrop of rhyolite recently identified as the source of one or more of Stonehenge’s rhyolite bluestones (Ixer and Bevins 2011). Archaeological excavations were carried out at Craig Rhos-y-felin in 2011–2015 and at Carn Goedog in 2014–2016 to search for traces of Neolithic megalith-quarrying and to date these remains to confirm whether the bluestones could have been installed at Stonehenge in its first stage. At Craig Rhos-y-felin and Carn Goedog the rock forms natural pillars separated by vertical jointing which makes these pillars relatively easy to detach. The Neolithic megalith-quarry workers would have had to free each pillar, then lower it onto a wooden sledge and drag it away. They probably did not shape these monoliths at the quarries. Most of Stonehenge’s bluestones, in contrast to the sarsens, have not been shaped (dressed); those that have, display the same style of transverse dressing as applied to the sarsen trilithons (Abbott and Anderson-Whymark 2012). Since these trilithons were not erected at Stonehenge until Stage 2, it seems likely that dressing of the bluestones took place at Stonehenge some centuries after Stage 1. Geological identification of just where the Stonehenge rhyolite came from on the Craig Rhos-y-felin outcrop is extremely precise. Due to the unusual micro-structure of the rock, it was possible to provide a close match at just one specific location on the rock face. This is exactly at the spot where there is a recess from which a 0.4 m-wide, 2.5 m long pillar is missing (Parker Pearson et al. 2015). After three seasons of excavation we reached the Neolithic deposits beside the outcrop, which consisted of a small hearth and associated spread of occupation debris within 2m of the recess. Finds were sparse, consisting of a few tools and flakes of rhyolite and flint and the carbonised remains of wood and hazelnut shells. The latter provided two radiocarbon dates of 3620–3360 BC and 3500–3120 BC (Parker Pearson et al. 2015) (Fig. 1). An aerial photogrammetric vertical view of excavations at Craig Rhos-y-felin showing the outcrop, the Neolithic platform and revetment wall, and the trackway; North is at the bottom left (Photo Adam Stanford). Yet this Neolithic horizon was just one of a series of human encounters with the outcrop of Craig Rhos-y-felin (Parker Pearson et al. 2015). Mesolithic hunter-gatherers had used the place as a camp site several times between 8000 BC and 5000 BC. Around 2000 BC, Bronze Age famers came here to quarry megaliths. They constructed a level platform of rock and soil, onto which they manoeuvred a 4-ton pillar but left it there possibly because a large flake had sheared off its underside. We can only assume that it had been intended for use as a Bronze Age standing stone, perhaps to be erected at the nearby burial cairn of Pensarn. Much of the area around the outcrop was covered in colluvium around 1000 BC, after which Iron Age people camped here. With this long span of human activity at Craig Rhos-y-felin, how could we be sure that the Neolithic occupation was associated with megalith-quarrying? In 2014–2015 at Craig Rhos-y-felin we found the remains of a level, artificial platform earlier than the Bronze Age one. This was located 5 m from the pillar recess and, when constructed, had been held in place by a small drystone wall of which just two courses have remained. The platform was constructed of sediment and small stones interspersed with vertically set stone slabs and capped by two large, flat boulders, one of which had since slid downslope, breaking through the wall (Parker Pearson et al. 2015). This side of the platform had once stood 0.7 m above ground level, providing a suitable ‘loading bay’ from which a monolith could be lowered onto a sledge and hauled away. From the foot of the wall, a hollow trackway, 2m wide, led away from the outcrop. We followed it for 10m within our trench where it leads northwards alongside the small stream that flows past the outcrop. The trackway had been created by trampling the soft alluvial silt of the valley bottom, presumably by dragging megaliths on wooden sledges away from the platform. This silt had been laid down in the Late Mesolithic around 5500 BC. The trackway was itself filled with alluvial sediment which was also the first layer to form against the drystone wall of the platform. Radiocarbon dates on charcoal from directly on top of the trackway reveal that it had been in use shortly before 3270–2910 BC, around the time of Neolithic occupation beside the monolith recess. Charcoal fragments incorporated into the sediments of the platform were much older, around 5000 BC – the Late Mesolithic – but these are probably residual since one of the finds from these platform sediments is a very fine end-scraper, a type of stone tool characteristic of the Neolithic. In summary, the Craig Rhos-y-felin sequence has produced evidence for an artificial platform and trackway leading away from it, adjacent to the recess from which a pillar was removed, a pillar that eventually ended up at Stonehenge. Dating evidence from the trackway and platform, as well as from the occupation deposit beside the recess, reveals that this episode of megalith-quarrying took place most likely at some time in the period 3500–3360 BC. At least five stones at Stonehenge are sourced to Carn Goedog (Bevins, Ixer and Pearce 2013). We found only one access point through the surrounding scree where suitable natural pillars could be quarried. Part of this accessible area has been affected by post-medieval quarrying but, just east of it, the outcrop retains evidence of more ancient removal of many whole pillars. At the foot of this rock face, excavations revealed an artificial platform of large slabs, many of them split in half with their split faces uppermost. Sediments from within and underneath the platform produced charcoal fragments which have yielded six dates in the Neolithic, most of which cluster around 3350–3020 BC. The latest of these dates to 3020–2880 BC. The platform was out of use when a small fire pit was cut into the top of it, with charcoal dating to 2890–2630 BC (Fig. 2). Excavations at Carn Goedog, viewed from the South, showing the outcrop, the Neolithic platform and the stone-filled Neolithic ditch (Photo Adam Stanford). The Carn Goedog platform, like the Neolithic platform at Craig Rhos-y-felin, terminates away from the outcrop in a vertical 0.9 m drop to form a loading bay where monoliths could be loaded onto sledges. However, there is no sign of a trackway in the hard ground leading away from it. Just beyond the edge of the platform we found an 11 m-long, 3 m-wide ditch. Dug to a depth of 0.4 m, its upcast was deposited on the side away from the outcrop and the ditch was then filled with large stones, creating a permanent barrier across which no monolith could be transported. The latest radiocarbon date on charcoal from this ditch indicates that it was filled-in around or after 3020–2880 BC. In summary, Carn Goedog’s main period of monolith extraction was slightly later than at Craig Rhos-y-felin, in the two or three centuries before 3000 BC. The same method was used of lowering monoliths onto a level platform, in this case built largely of large flat slabs with sediment in between them, sitting on top of the Neolithic ground surface. Unlike Craig Rhos-y-felin, no hollow way was formed by the hauling-away of monoliths, presumably because the hard ground and tough grass cover on this elevated hillside were not eroded by moving stones over the surface. The construction of a stone-filled ditch (the date of which coincides with Stage 1 at Stonehenge) as a barrier to cut off access to bluestone pillars from the outcrop, is intriguing. It may have served to prevent removal of any more of these important stones. An Original Stonehenge in Wales? So where were the bluestones of Craig Rhos-y-felin and Carn Goedog initially taken? Since monoliths were extracted at different times from the two quarries, it seems likely that they were incorporated either into two monuments or into a two-phase monument, likely to be located in their vicinity, before being dismantled and taken to Salisbury Plain to be erected there in 3000–2755 BC. If this is so, then where and what might this original ‘Stonehenge’ be? Somewhere in the vicinity of these quarries may lie the remains of one or more stone circles that formed the original Stonehenge, just waiting to be found. One of the greatest archaeological discoveries in world archaeology may be just around the corner. Abbott, M, Anderson-Whymark, H, Aspden, D, Badcock, A, Davies, T, Felter, M, Ixer, R,Parker Pearson, M and Richards, C (2012). Stonehenge laser scan: archaeological analysis report. Swindon: English Heritage. English Heritage Research Report 32/2012. Atkinson, R J C (1979). Stonehenge. Third edition Harmondsworth: Penguin. Cleal, R M J, Walker, K E and Montague, R (1995). Stonehenge in its Landscape: twentieth-century excavations. London: English Heritage. Ixer, R A and Bevins, R E (2011). Craig Rhos-y-felin, Pont Saeson is the dominant source of the Stonehenge rhyolitic ‘debitage’. Archaeology in Wales 50: 21–31. Ixer, R A and Turner, P (2006). A detailed re-examination of the petrography of the Altar Stone and other non-sarsen sandstones from Stonehenge as a guide to their provenance. Wiltshire Archaeological and Natural History Magazine 99: 1–9. Ixer, R A, Turner, P, Molyneux, S and Bevins, R E (2017). The petrography, geological age and distribution of the Lower Palaeozoic Sandstone debitage from the Stonehenge landscape. Wiltshire Archaeological and Natural History Magazine 110: 1–16. From Countess Roundabout to the east tunnel portal The new road will cross Countess Road (A345) on a flyover with grade separated junction. The road deck of the bridge will be at 8m above the highest point of the roundabout below. From there the road follows the existing route through the cutting past Vespasian’s Camp and then runs to the new portal position to the north of the existing road and c.100m east of the line of the Avenue as it runs across the flank of King Barrow Ridge towards the River Avon in West Amesbury. This is c.200m east of the eastern portal position assessed in the 2014 report, and around 400m east of the portal position for the 2.1km tunnel scheme considered in 2004. This also means that the road threshold at the new east portal position should be around 10m lower than in the options assessed in 2014. This has considerable implications for the visibility of the surface stretch of road between the tunnel portal and the existing cutting past Vespasian’s Camp... East of that cutting, the principal impact will be that of the flyover and the grade separated junction of which it will be part.. while this will be very intrusive in the local landscape, the surrounding topography means that it will be screened from direct view from the identified key groups of attributes of OUV (Note Blick Mead was not assessed as of ‘Outstanding Universal Value in this report, as only site of Neolithic or Bronze Age date within the WHS were. Blick Mead does not even feature on the map of the area on P 10 DJ) . Its impact on the OUV of the World Heritage property and its attributes will therefore be minimal. Our calculations suggest that the road level exiting the east portal of the tunnel should be c.85m Above Ordnance Datum (AOD) though this will need reviewing when more detailed development of a scheme is available from Highways England. The road is likely to be partially in cutting for c.250m before running out across the dry valley west of Vespasian’s Camp on an embankment which could be lower than the existing one, depending on the treatment of the farm access road which passes under the A303 at this point." (pp 15 and 16). To summarise the above, this means that an 8m high flyover will be built by Blick Mead and Countess Farm (which shares the same terrace as Blick Mead and has a Mesolithic findspot, plus waterlogged conditions similar to BM) on a road c.45m wide. There will be a cutting just before the Eastern portal which will be be 10m deep and around 30m long (this is a massive cutting). This is a huge amount of extra infrastructure to put in so close to the floodplain which is presently protecting Blick Mead and its environs. Further, bore hole surveys between the mid 1950's and the early 21st century show a steep drop in peat measurements in Blick Mead-Countess area. For example, Foundation Engineering took a bore hole sample just east of Countess Roundabout (so close to Blick Mead) on the 20th of April 1965 (SU14se51) and the peat there was measured at exactly 3 feet, around 90cm. On 17th of December the British Geological Society took a bore hole sample from almost exactly the same place (1415519.03E142020.76N) and no peat was found. Peat requires waterlogged conditions to persist and is therefore a sound indicator of the water table dropping. Highways England's Preliminary Environmental Information Report (PEIR) gives an assessment of a range of issues including air quality, cultural heritage, biodiversity, and ‘road drainage and the water environment. Potential permanent impacts arising from the construction of the proposed scheme identified in the PEIR include "impacts caused by lengths of the tunnel below the groundwater level in the chalk interfering with groundwater flow". It notes: "There are a number of springs in the area down hydraulic gradient of the tunnel including the spring system around Amesbury Abbey, which could be affected." However, the document’s list of potential mitigation measures does not appear to contain any specific measure relevant to such an impact - "In this particular case, our assessment to date indicates that there will be not be any adverse impact that requires any mitigation above that provided by the design of the proposed scheme." This suggests that Highways England is confident that an assessment that it has yet to complete will not identify impacts that cannot be mitigated. This is also a cause for concern. Highways England say it plans to submit a development consent application in the autumn of 2018, by which time many of its current assumptions will need to have been thoroughly tested. So, to conclude with regards to the impact of construction on the ground water level, we do not know if any scientific data exists (e.g. a commissioned geotechnical / hydrogeological survey). Nevertheless, any impact that will cause a reduction in the ground water level in the Avon valley will have a major impact on the environmental and archaeological resource. The reduction in water levels will cause desiccation (oxidation) of sedimentary sequences, especially those that are organic rich, leading to shrinkage and further compaction. The preserved organic (sub-fossil biological) remains that are now known to exist at Blick Mead will be oxidised leading to the potential loss of information. Professors Tony Brown, Nick Branch, Peter Rowley-Conwy and Dr Barry Bishop all co signed my letter to the Times in January 2017 raising the alarm about this. Megaliths are spread across the Indian subcontinent, though the bulk of them are found in peninsular India, concentrated in the states of Maharashtra (mainly in Vidarbha), Karnataka, Tamil Nadu, Kerala, Andhra Pradesh and Telangana. According to archaeologists R.K. Mohanty and V. Selvakumar, around 2,200 megalithic sites can be found in peninsular India itself, most of them unexcavated. Even today, a living megalithic culture endures among some tribes such as the Gonds of central India and the Khasis of Meghalaya. Understandably, the construction of megaliths was a massive endeavour, requiring the active involvement of the community. “Experiment on reconstruction of a burial from Vidarbha suggests that 70 to 80 individuals were required to construct a burial having 13.5m diameter with a deposit of 80 to 85 cm in two and half to three days without any leisure... Participation in construction by the community members could be social norm without labour charge. If not by any labour charge, a feast was probably prepared to honour the labour force provided by community members. Animals were probably scarified and a feast was prepared beside various other food items,” writes Chakrabarti. To back this theory, just the non-consumable parts of a horse—i.e., skull and hoof bones—have been recovered from excavated burials in Vidarbha, dating back to 700-800 BC, indicating the rest was consumed in a feast. “In ethnographic parallels, sacrificing buffalo among Hill Soras of Odisha and Mithun (bos frontalis) among tribes in Arunachal Pradesh for preparation of feast in death ritual is a still prevalent custom,” notes Chakrabarti. Mendaly, S, 2015. A Study of Living Megalithic Tradition Among the Gond Tribes, District – Nuaparha, Odisha. "The ‘bluestone’ object is a bifacial lithic with polishing and flaking. It was found in a possibly Romano-British feature, next to two Late Neolithic posthole alignments at MOD Durrington. It resembles objects made out of ‘bluestone’, the same as some of the Stonehenge stones. A number of ‘bluestone’ objects have been found across the Stonehenge Landscape, even though not local to the geology. It is unknown when the object was created, or how it came to be buried at Durrington. Its proximity to the Neolithic posthole alignments could suggest a similar prehistoric date. However, the association with the Romano-British feature could suggest a later curation of the artefact, taken as a memento or trophy. A section was taken to identify the geology of the rock and shows its original midnight blue colour when it was freshly made. The exterior surface is the result of 4500 years of weathering and wear." More info on the MOD Durrington Dig is found on Wessex Archaeology's website. An excavation in 2010–12 on the site of the former Ministry of Defence (MoD) Headquarters in Durrington, Wiltshire, revealed evidence spanning the post-glacial to the post-medieval periods. It lies immediately north-east of the Stonehenge part of the Stonehenge, Avebury and Associated Sites World Heritage Site. The significant discoveries made during the excavation include a relatively deeply buried Late Glacial Allerød soil, and a zone of Late Neolithic activity centred on a number of natural solution hollows, posthole alignments and pit groups. The Late Iron Age defences, probably constructed in the immediate pre-Conquest period and decommissioned soon after, influenced the layout of early Romano-British fields and settlement activiAn excavation in 2010–12 on the site of the former Ministry of Defence (MoD) Headquarters in Durrington, Wiltshire, revealed evidence spanning the post-glacial to the post-medieval periods. It lies immediately north-east of the Stonehenge part of the Stonehenge, Avebury and Associated Sites World Heritage Site. The significant discoveries made during the excavation include a relatively deeply buried Late Glacial Allerød soil, and a zone of Late Neolithic activity centred on a number of natural solution hollows, posthole alignments and pit groups. The Late Iron Age defences, probably constructed in the immediate pre-Conquest period and decommissioned soon after, influenced the layout of early Romano-British fields and settlement activity.